Happy New Year! I am so excited for 2014 to be here. I've got a feeling this is going to be a fabulous year. I have so much to be thankful for from 2013, and so much to look forward to in 2014. I hope everyone had a wonderful time ringing in the new year last night, and I hope it involved lots of bubbly! 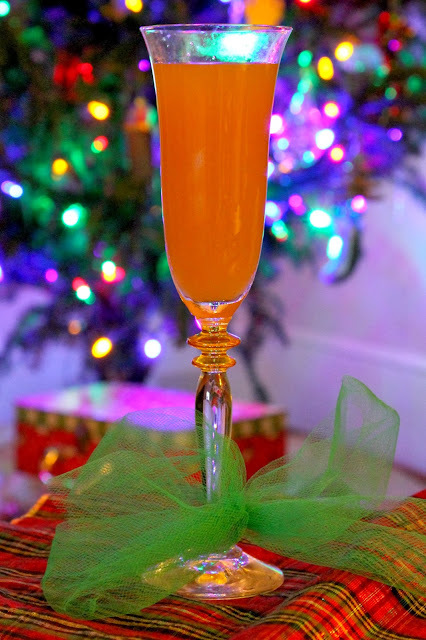 The champagne cocktail that was a staple for me this holiday season was the Apple Cider Mimosa. It's painfully simple, just combine one part apple cider with two parts champagne, and voila! If you're feeling a little adventurous throw in a teaspoon of brown sugar and an ounce of bourbon. Its a sweeter more alcoholic version, need I say more? Combine bourbon and brown sugar in champagne glass, fill with sparkling wine and top with apple cider. This recipe looks so good! Can't wait to try it out! Happy New Years!